Saint Razhden the Protomartyr was descended from a noble Persian family. When Holy King Vakhtang Gorgasali married the daughter of the Persian king Hormuzd III Balunducht, the queen took Razhden with her to Georgia. In Kartli Razhden converted to the Christian Faith, and King Vakhtang presented him with an estate and appointed him as a military adviser and commander. At that time Georgia was under heavy political pressure from Persia. Enraged at King Vakhtang’s clearly Christian convictions, the Persian king Peroz1(457–484) attacked Georgia with an enormous army. His accomplishments in this battle earned Razhden his distinction as a brave and virtuous warrior. 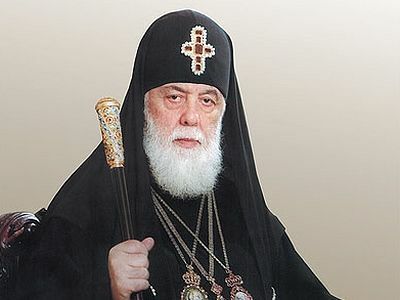 Razhden fearlessly asserted that Christianity is the only true faith and that Christ is the only true Savior of mankind. King Peroz tried to conceal his anger and cunningly lure Razhden to his side, but his attempt was in vain. Convinced that his efforts were futile, Peroz finally ordered that the saint be beaten without mercy. The expert executioners trampled St. Razhden, battered him, knocked out his teeth, dragged him across jagged cliffs, then chained him in heavy irons and cast him into prison. When the news of Razhden’s suffering and captivity spread to Mtskheta, the Georgian nobility came to Peroz and requested that he free the holy man. Peroz consented to their request, but made Razhden vow to return. 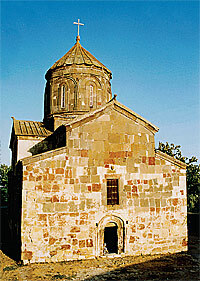 The church at Nikozi, where St. Razhden’s relics were laid to rest. Razhden arrived in Mtskheta, bid farewell to his family and the beloved king Vakhtang Gorgasali and, despite his loved ones’ admonitions to the contrary, returned to Peroz. The Persian king tried again to return Razhden to the religion of the fire-worshippers. But seeing that he would not be broken, Peroz instead ordered his exile to a military camp at Tsromi in central Georgia. Then he secretly ordered the chief of the Persian camp to turn him away from Christianity and to execute him if he refused. “Your flattery and bribes are insulting to me. With joy I am prepared to endure every suffering for the sake of Christ!” Razhden replied to his appeals. “If he hopes in the Crucified One, then he also is fit to suffer crucifixion!” Such was the Persians’ verdict. They erected a cross, crucified Christ’s humble servant, and prepared to shoot at the pious man with bow and arrow. “Into Thy hands, O Lord, I commit my spirit!” were the last words of St. Razhden. That night a group of Christians stole the Persians’ cross, took the holy martyr’s body down from it, and buried his holy relics in secret. A few years later Vakhtang Gorgasali translated St. Razhden’s relics from Tsromi to Nikozi (in central Georgia) and interred them in a cathedral that he had built there not long before. Holy King Vakhtang later erected churches in honor of Georgia’s first martyr in Ujarma and Samgori in eastern Georgia. 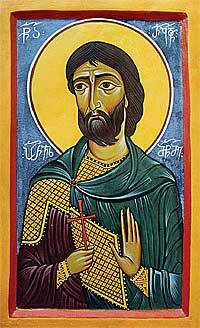 O radiant star and Great-martyr Razhden, thou who didst turn from godlessness to walk in the way of the righteous, suffer trials for Christ, and stand out among the saints, we believers glorify thee with divine praise. Through thine intercessions deliver us from every temptation! 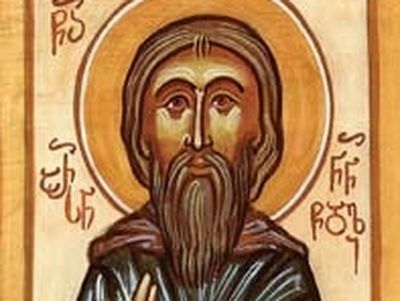 Arsen of Ninotsminda was an ascetic who labored in the 11th century. 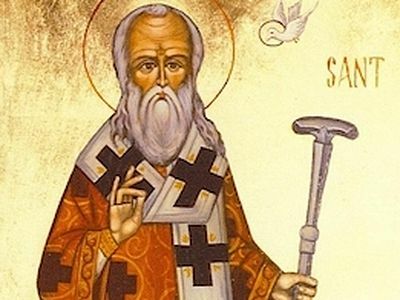 History tells us that he was a brilliant translator, writer, calligrapher, and theologian, and indeed one of the greatest Church figures of his time. Since the time of the ancient Greek historians, Georgia has been viewed as an enigma hidden behind impenetrable mountains and a complex language. Little has been written about this small country and its saints. 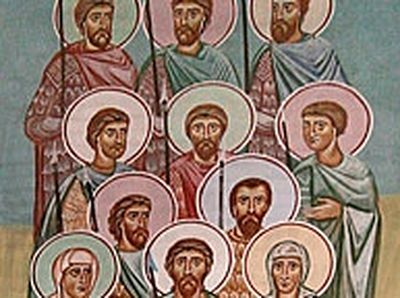 Now, Pravoslavie.Ru presents the entire collection of the Lives of the Georgian saints which has been translated for the first time into English. These lives encompass the seventeen hundred years of Orthodox Christianity in Georgia. 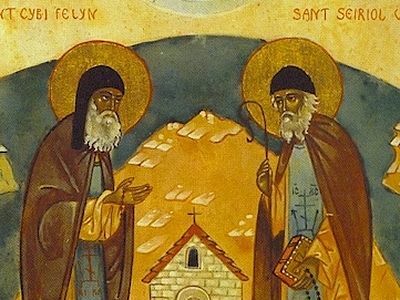 The stories of ascetics and bishops, warriors and noblemen are intertwined with the tumultuous history of the Georgian land. In the Feast of the Annunciation in the year 1625, the Georgians annihilated the army of the Persian shah Abbas I in the Battle of Martqopi. The victory unified Georgia’s eastern provinces of Kartli and Kakheti. It also instilled hope in other enslaved peoples of the Transcaucasus, and rebellions began to break out everywhere. 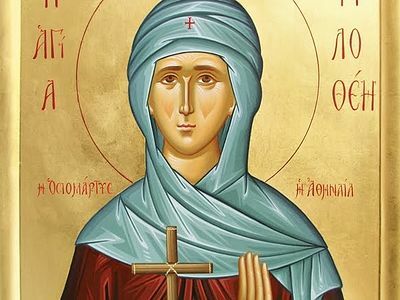 St. Philothei's life was not only inwardly holy, however; her actions followed Christ's words, again from the Gospel of John: "By this all will know that you are My disciples, if you have love for one another" .